Here are a few artists that inspire me to new mini heights (and sometimes lows when I wonder why I even bother with my own puny attempts. LOL, no pun intended on the “puny”.) Mostly though, I LOVE looking at the work of these amazing artisans and I hope that you do too. Click on the photo at right and it will jump you directly to making this bed. You will have to scroll down a bit to get past the other Tudor furniture, but I don’t think that it will hurt because it is ALL eye-candy. OK, miniaturists are crazy and this next blogger is no exception. And I mean that in the nicest way possible. LOL Seriously, Monique makes the MOST amazingly intricate miniatures of anybody that I’ve seen so far AND she has a great sense of humor as you will see in this video. This site is from Finland and the blog owner’s name is Susanna. Even her bio says that it is just “Susanna”, so there you go. Susanna knits these tiny little clothes. What got me the most was the way that she poses her figures for the photos. They are so much fun to see and to read the story/ captions. 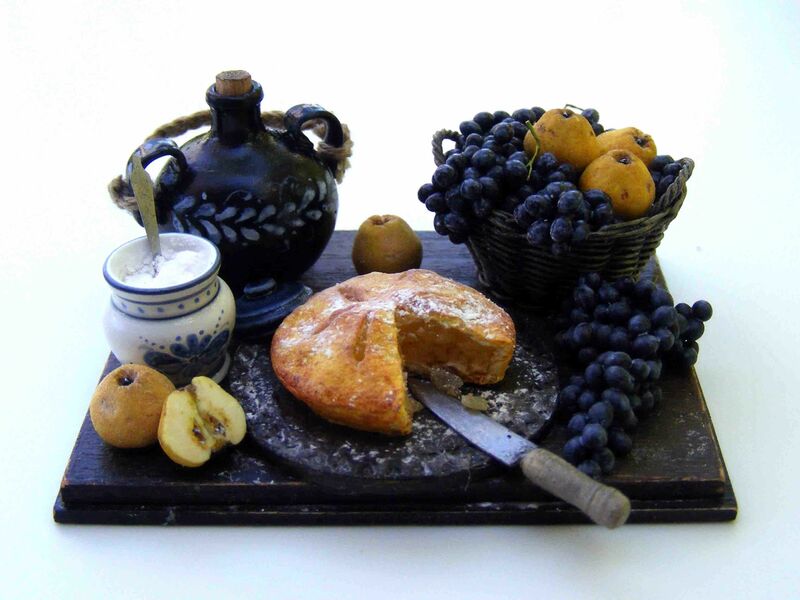 Erzsébet Bodzás primarily makes and sells still-lifes of food. They are fantastic! The detail and realism is beyond exquisite. She makes every single thing in her photos. Her Pinterest boards show an enviable array of fabulousness. I’ve linked her name and the top photo to her blog. The second pic is linked to the Pinterest board. Check it out, you won’t be disappointed. This is just a tiny sampling of my favorite miniature blogs. Each of the above artists have even MORE links in their sidebars. Warning: you are in danger of spending a whole day surfing if you don’t put a timer on your desk!